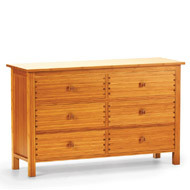 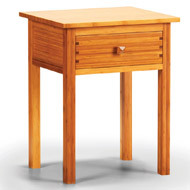 The Hosta Bamboo 5 Drawer Chest features clean lines on a sturdy and durable bamboo frame. 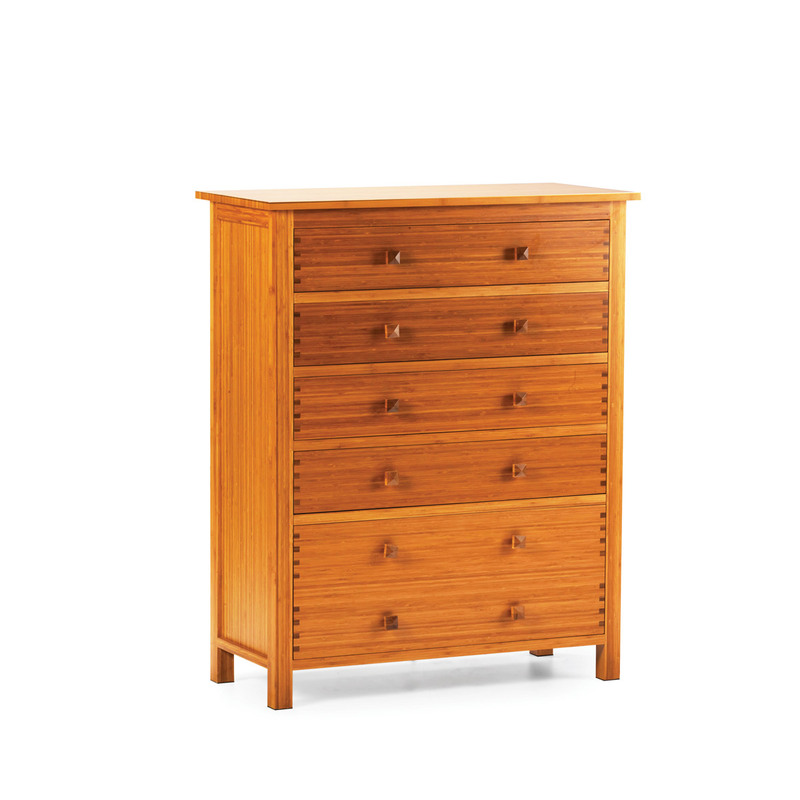 The warm caramel finish really highlights the natural grain of the environmentally friendly bamboo construction. 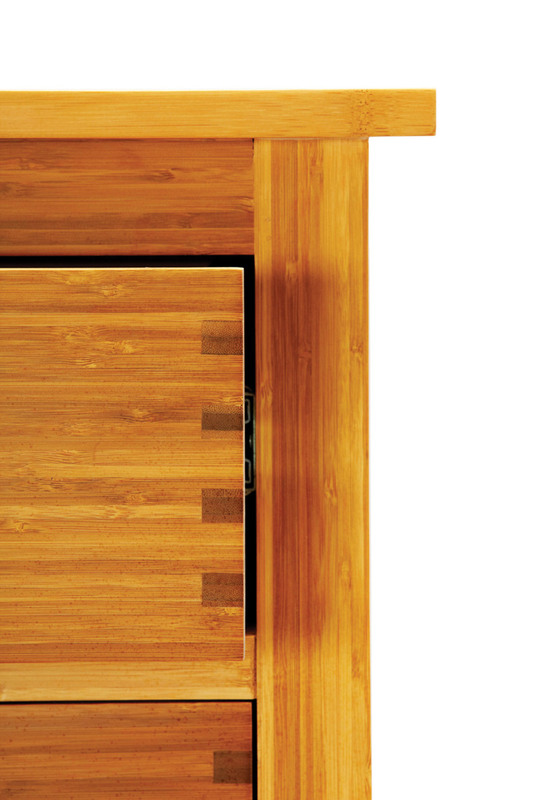 Its clean right angles, straight lines, and square knobs make it well suited for both modern and transitional decor. 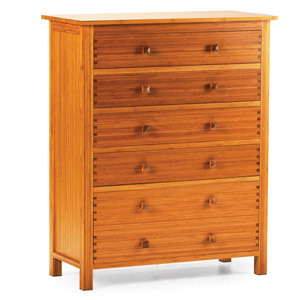 Five drawers provide plenty of bedroom storage in an attractive, contemporary design. 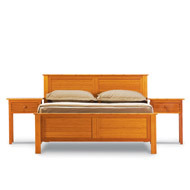 Add on the matching set pieces to build your own modern bamboo bedroom.